Did you really think I was going to let Valentine’s Day slip by without decorating a tree? Come on. You know me better than that. 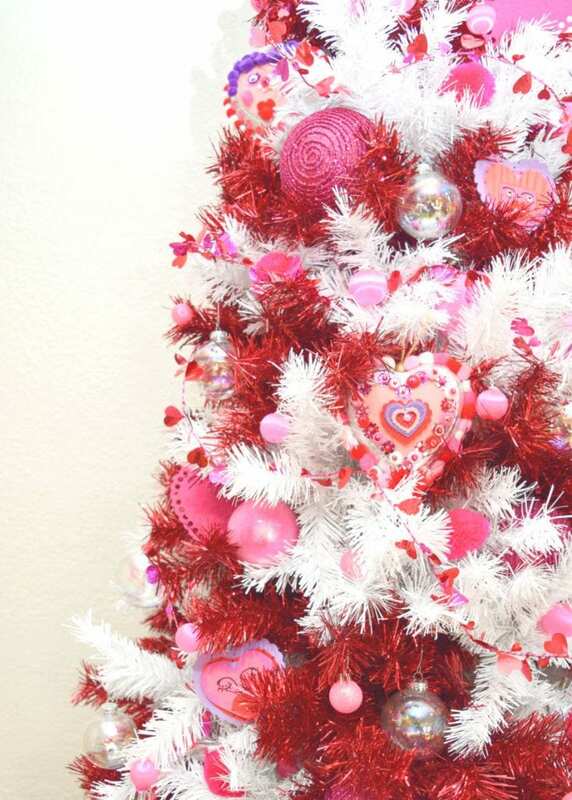 This year my Valentine tree is a red and white striped dream with pops of pink. I can feel the love, can you? Another excuse to keep the Christmas trees out all year long. You know I’m in! I love the way this tree looks with pink accents including hand painted pieces of Jennifer Perkins Art and DIY Valentine’s Day Ornaments for Kids. 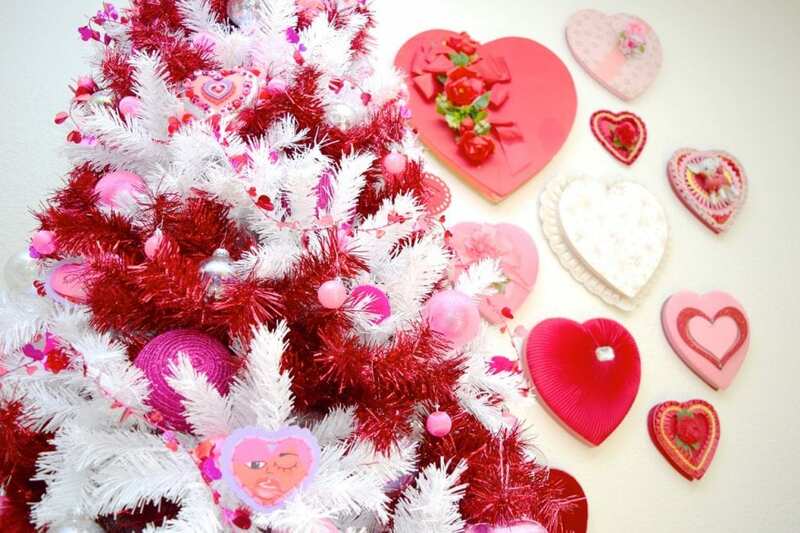 Plus plain pink, red, white or clear traditional Christmas ornaments always look great on a Valentine tree. are always a good idea. Remember the Candy Cane Forest I created at Christmas using my Candy Cane Christmas Tree? Well guess what it also works perfectly as a Valentine’s Day tree. Not only that, February is also Women’s Heart Health Month so you can Go Red with this tree! Check out this post (sponsored) – Go Red for Women – Decorate a Tree in Support of Heart Health over on the Treetopia site. I’m always on a mission to keep a tree or festive wreath up year round. 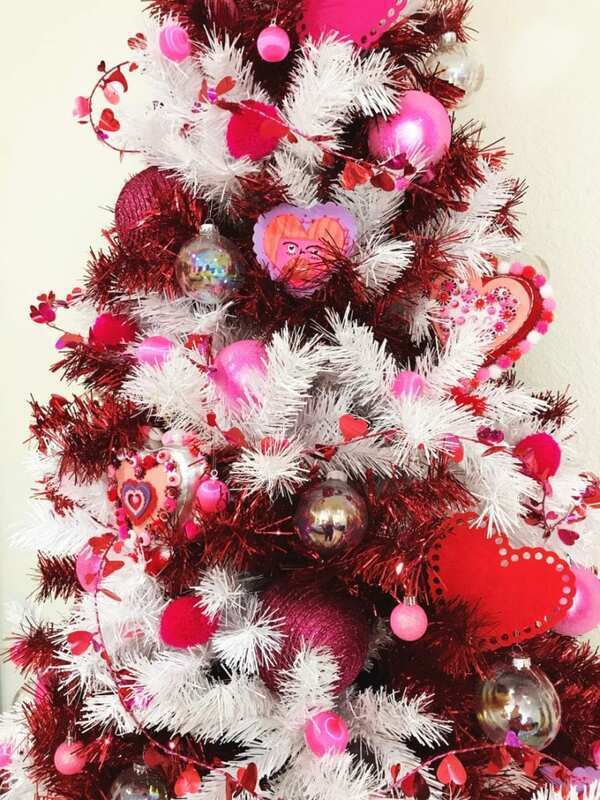 Since Christmas I have decorated trees and wreaths for New Year’s Eve, The Super Bowl and now a Valentine tree. Looking for even more DIY Valentine’s Day inspiration? Check out my post Clever Ideas for Valentine’s Day Wreaths and Trees. Now excuse me while I try to figure out how to make this striped tree work for a holiday in March. I feel a Dr. Seuss’s Birthday tree coming on! Posted February 8, 2019 & filed under Holidays, Valentine's Day.